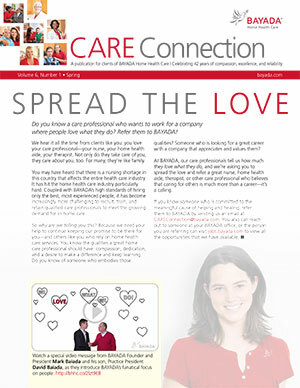 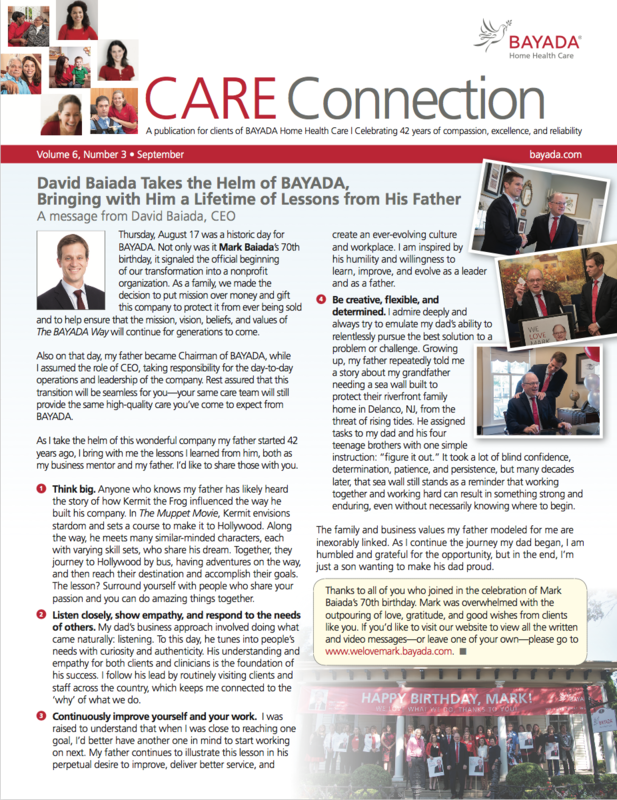 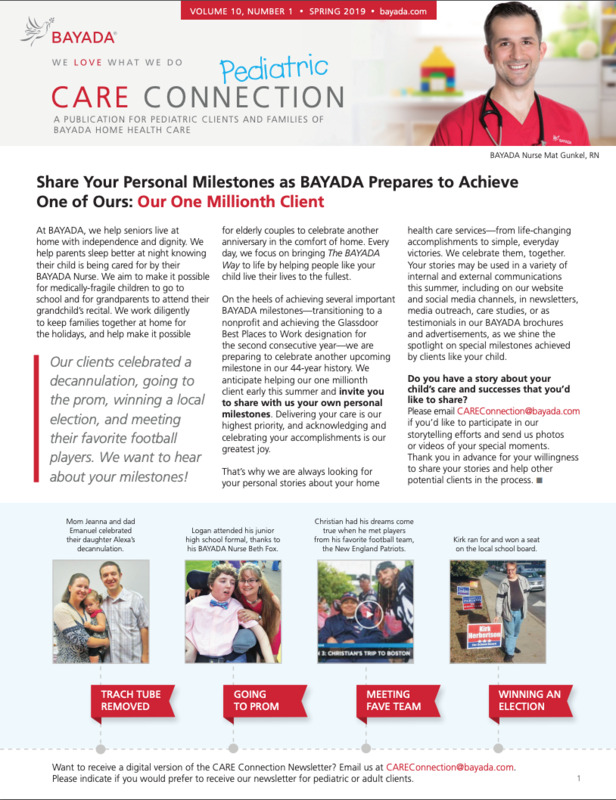 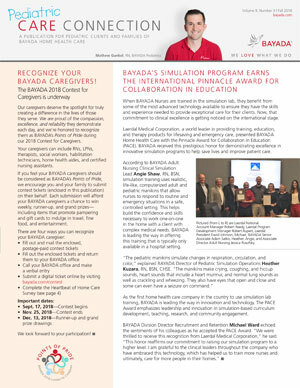 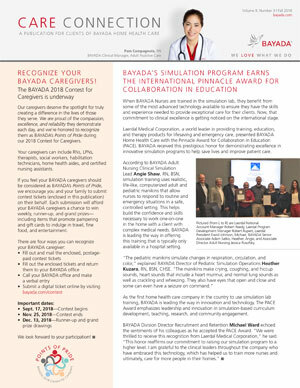 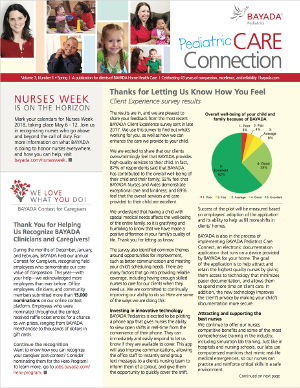 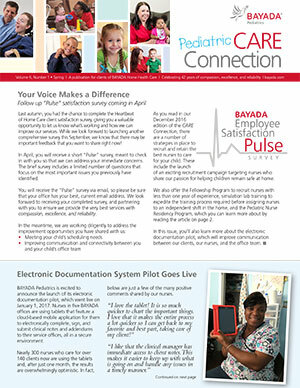 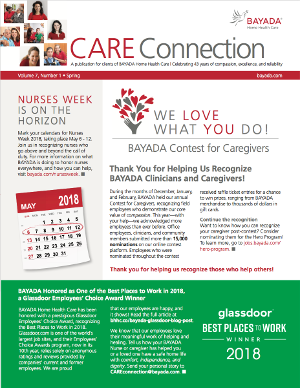 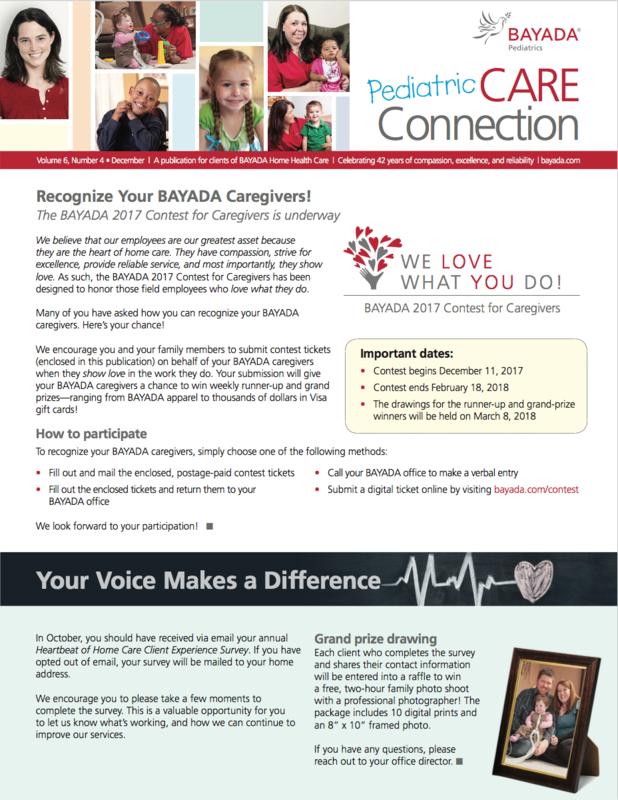 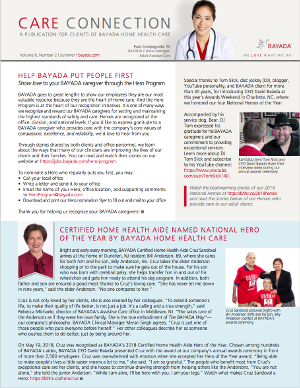 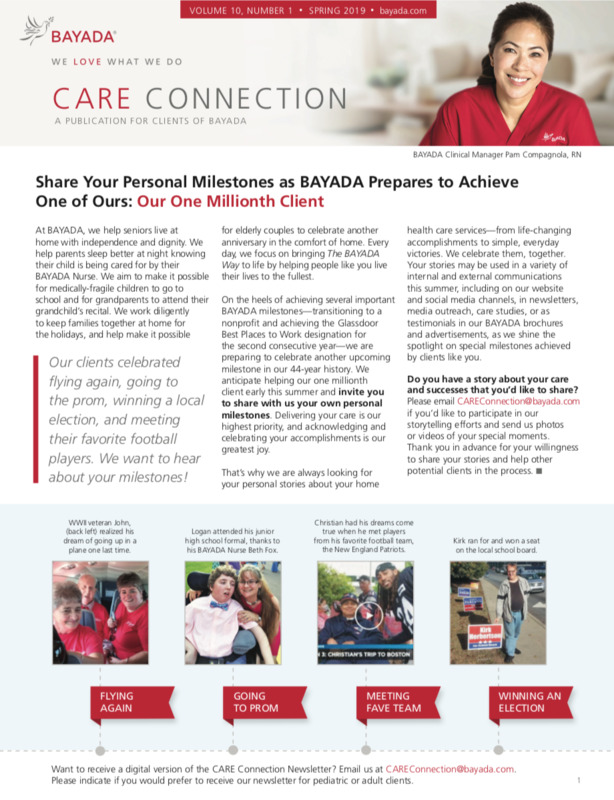 At BAYADA Home Health Care, we believe it is important to communicate clearly and consistently with our clients, which is why we created our quarterly client newsletter, CARE Connection, to help us stay connected. 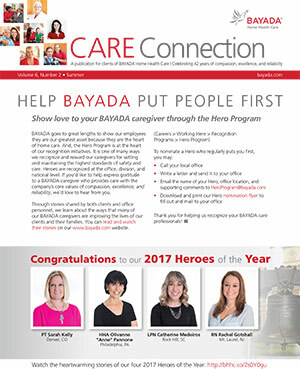 Each issue provides helpful information and shares stories about our inspiring clients and dedicated home health care professionals. 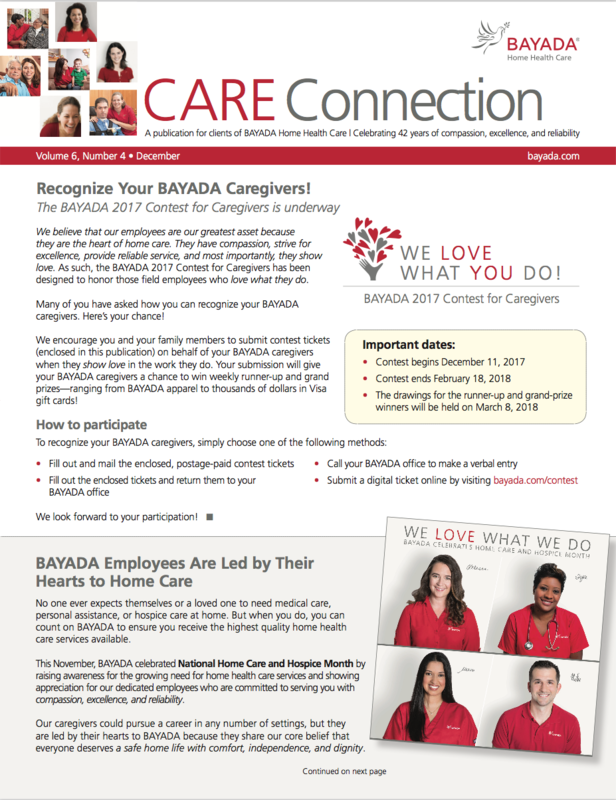 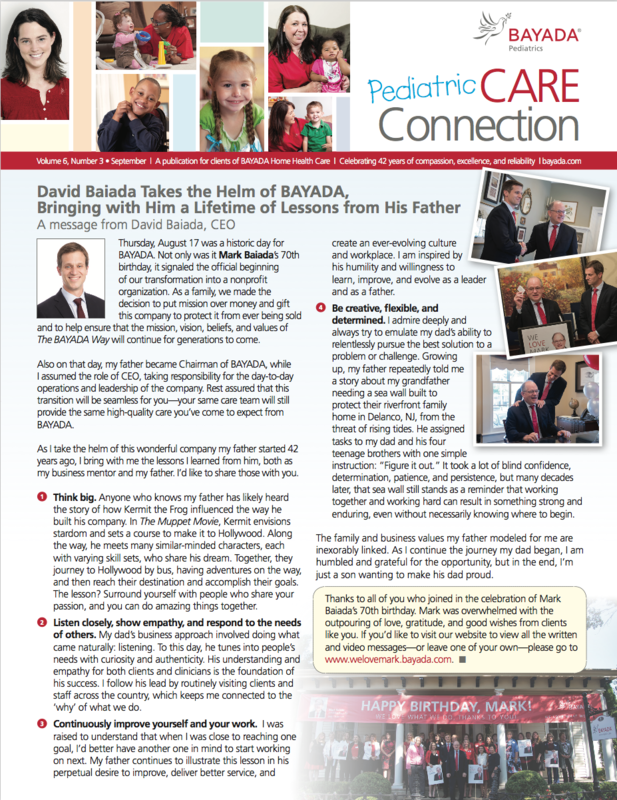 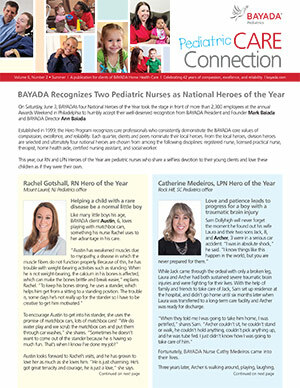 Take an inside look at our publication for BAYADA clients and families, and please feel free to share your feedback by emailing careconnection@bayada.com.